Closing your prospects in network marketing is the most important step in advancing your business. You may be the best at finding, inviting, and presenting to prospects, but you still need to close them! That last step can make or break your MLM business. Achieving a full time income doing what you love requires people joining your team and customers buying products. It doesn’t happen magically! Before you let any doubts get into your head, here’s the good news: You can learn the skills to close more prospects. The more you do it the better you’ll get at it. 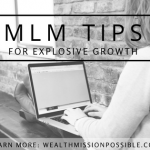 In this article I have some tips to help you close your network marketing prospect like a pro! 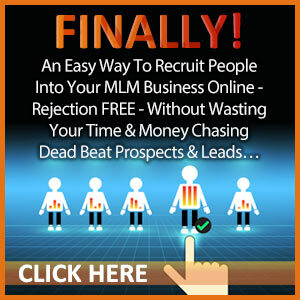 FREE Lead Generation Training Reveals Ten Proven Network Marketing Prospecting Tricks – Click here! Closing in MLM or any sales is a simple process. I didn’t say easy, just simple. There’s a difference. Most people try to complicate it due to feeling uncomfortable or being nervous. That’s normal. The more you do this, the better you’ll get and the closer you will be to growing an amazing business. 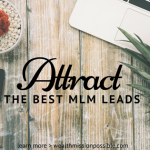 I know you want to get every person you meet to join your business, right? That’s just not possible. You will save yourself a lot of time with prospects if you make an honest assessment of whether they have a true interest in starting a business. For example, I’ve made the mistake in the past of “convincing” people to join my business. They weren’t that interested! It was a disaster because they didn’t do anything or contribute to the team in any way. They had to be prodded and pulled. You want people who are willing and can see the vision for success! If you run into someone who is low energy with zero interest, you just saved a lot of time! You don’t have to explain or send them anything. It’s a way to sort through people instead of wasting your time trying close every prospect you run into. Remember, every person is NOT a qualified prospect for your network marketing business. This step qualifies them to move to the next step or not. 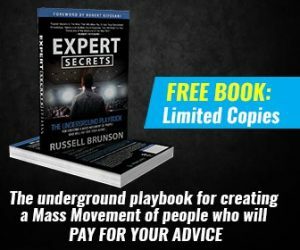 Are you trying to explain everything about your business to every network marketing prospect you meet? That’s not a good idea. What if it takes you one hour to explain all this detail? That mean if you have 2 hours to spend on your MLM business, you can talk to 2 people. Plus the person will be bored to tears. Or any other tool that works to present the information for you. If you spend less than 10 minutes, then you can talk to 6 people in an hour, maybe more. In doing so, you are showing your prospect that all you have to do is point to a tool that does the work for you. For network marketing to work, duplication is a must. You don’t want to send your team off to explain everything in detail. You want them to get good at pointing to information. Anyone can do that! What did you like best about the information? On a scale of 1 to 10, with 1 being you have zero interest and 10 being you are ready to get started right now, where are you? I love this prospecting question. People usually give me an answer and then I can say something like: What would it take to get you to [a higher number]. 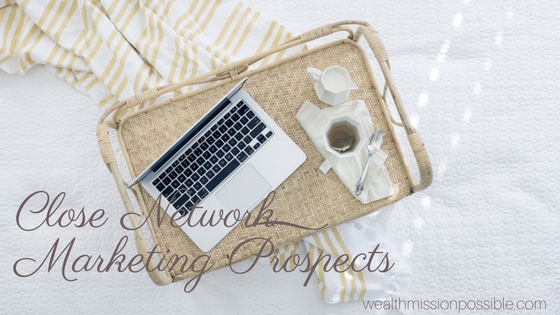 Did you get some ideas from these three tips about closing your network marketing prospects? I remember when I used to ask questions like “what did you think?” I would usually lose the prospect right then and there. It just takes practice like anything else and you can do it! 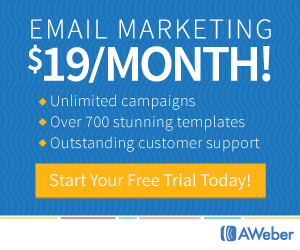 Take advantage of free training from top leader in the industry. That’s exactly what I do!